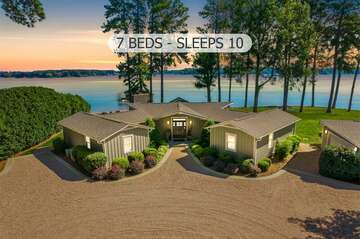 Southern charm and hospitality welcome you to beautiful Lake Norman – the ultimate in luxurious lakeside living where glistening leaves dance in the wind, sunlight reflects on the sparkling water and captivating sunsets light up the night skies. Surrounded by a landscape that lends itself to outdoor adventure and the historic streets of nearby towns all nestled on the banks of the lake, immerse yourself in the thrill of the adventures that await you in Lake Norman. We live here because we love Lake Norman. We boat, swim, hike, ski, bike and play here. And we will be here to help you get the most out of your Lake Norman vacation. We make our guests' experience as comfortable and seamless as possible. We value your privacy and operate with discretion. StayLakeNorman homes go through a rigorous screening process. We include modern homes with upscale amenities as well as charming cottages with warmth and coziness. Located only 30 minutes from the big city lights of Charlotte, Lake Norman is the largest man-made lake in North Carolina. A unique vacation destination where upscale lakeside properties line the quiet shoreline, hiking and biking trails weave through forests teeming with birdlife and wildlife, sail boats nestle in the sheltered coves and sun seekers soak up rays on the sandy beach. A mild, four season climate promises perfect year-round adventures here in Lake Norman, the largest playground in the Carolinas. Over 50 square miles of tranquil waters offer endless water sports options, from gliding peacefully on a paddleboard to reaching for the skies on a water trampoline. Anglers are in heaven as they stop along the shores to cast a line, fish from the pier or launch a boat to explore deeper waters where an abundance of fish ripple the surface. The perfect place to end your day is experiencing the grandeur and vastness of Lake Norman’s 520 miles of beautiful shoreline on a lake cruise as the sun sets on the horizon to give way to another day in paradise. Let’s not forget the charming towns that surround Lake Norman - Cornelius, Mooresville, Davidson, Troutman and Huntersville. After executing the perfect shot on one of the many scenic golf courses, immerse yourself in the craft beer culture at a brewery or sip wine and listen to live music at Davesté Vineyards. Wander the pedestrian friendly streets of Davidson, a laid-back and charming college town, a haven for foodies and creative minds with a vibrant art district, a fantastic farmer’s market and lakeside restaurants to whet any appetite. Explore buildings from a bygone era as you go in search of vintage finds and antiques in Cornelius then onto Mooresville, known as Race City USA, to relive racing’s greatest moments at the North Carolina Auto Racing Hall of Fame and Memory Lane Museum. Explore the quintessential small town spirit of Troutman, a bustling small town with beautiful green spaces. The Richardson Greenway runs parallel to Main Street and connects to Troutman ESC Park’s paved walking trail near Town Hall, making it a beautiful place for an afternoon walk. History runs deep in the nearby town of Huntersville, a dynamic destination of shopping, dining and attractions. Birkdale Village’s colorful buildings, bubbling fountains and beautiful gardens invite you to eat and shop to your hearts content. The Latta Plantation, a living history farm, brings history to life with fun re-enactments, and also serves as the gateway to Latta Plantation Nature Center, where you can horseride 18 miles of scenic trails and walk with the Birds of Prey at the Carolina Raptor Center. 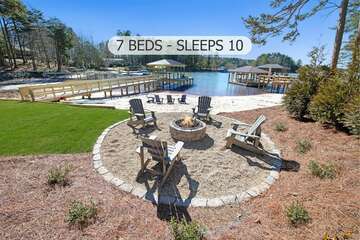 StayLakeNorman Luxury Vacation Rentals was born out of Lawrie and his family’s love for the Lake Norman area. He was eager to share his passion for Lake Norman so others could come to love the area just as much as he did. Discover why the team at StayLakeNorman is the company homeowners trust for vacation rental property management in Lake Norman. 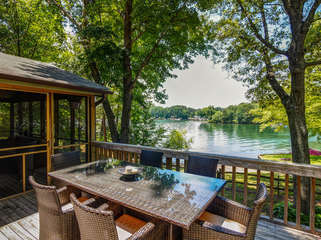 Lakeside living is the only way to vacation in Lake Norman. Breakaway from the hustle and bustle of everyday life and experience a touch of luxury in one of our Lake Norman vacation rentals, boasting idyllic views of the rippling waters, a stone’s throw from the attractions and activities surrounding Lake Norman. Our hand-selected portfolio of vacation homes includes upscale amenities designed to ensure an unrivaled Lake Norman vacation experience.